Part comic book. Part musical horror tale. Part Lizard. Part Boy. From its acclaimed production in Seattle comes a radically original musical that will set San Diego ablaze. Legend has it that from the ashes of Mount St. Helens emerged a monster with mysterious powers that changed one boy’s life forever. Freak or hero? Trevor better find out before it’s too late. This indie-folk-rock-concert-coming-of-age-love-story about the power of individuality will shatter your notions of what a musical can be! If you already have a package and would like to select your performance, please log-in. LIZARD BOY comes to us direct from its World Premiere production at Seattle Rep this season, making our production its encore. I’ve been tracking this show since its World Premiere was announced, and when I finally saw the production I was blown away by its bold originality and dynamic approach to storytelling. Huertas uses the fantastical Comic Book form, but does so in a completely earnest way that is utterly engaging. 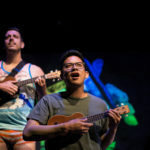 AND this three-hander puts a new twist on triple threat, with the cast becoming their own band, accompanying themselves on a wild assortment of instruments from ukelele to kazoo to guitar to cello. LIZARD BOY is a perfect way to launch Diversionary’s 31st Season! 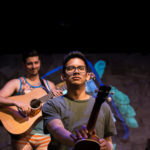 Justin Huertas (Trevor/Playwright)won Seattle Gregory Awards for New Play and Lead Actor in a Musical for the world premiere of Lizard Boy (Seattle Repertory Theatre, 2015). Seattle Repertory Theatre: Lizard Boy, Speech & Debate. 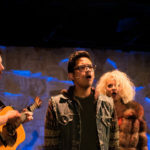 Seattle Shakespeare Company: Romeo & Juliet (original music), Much Ado About Nothing, Twelfth Night. The 5th Avenue Theatre: Grease, Secondhand Lions World Premiere. Village Theatre: In the Heights (Gregory Nomination, Supporting Actor in a Musical). Justin played cello for the Broadway National Tour of Spring Awakening. He also performs around Seattle in the folk-rock duo Hanschen & Ilse with frequent collaborator and best friend Kirsten deLohr Helland. Justin is very grateful to Diversionary Theatre for granting him this incredible opportunity and to his Lizards Kiki, Brandon, & Bill for their absolute love and boundless creativity. 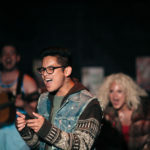 Justin Huertas (Trevor)* won Seattle Gregory Awards for New Play and Lead Actor in a Musical for the world premiere of Lizard Boy (Seattle Repertory Theatre, 2015). Seattle Repertory Theatre: Lizard Boy, Speech & Debate. Seattle Shakespeare Company: Romeo & Juliet (original music), Much Ado About Nothing, Twelfth Night. The 5th Avenue Theatre: Grease, Secondhand Lions World Premiere. Village Theatre: In the Heights (Gregory Nomination, Supporting Actor in a Musical). 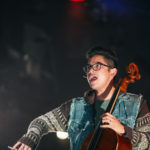 Justin played cello for the Broadway National Tour of Spring Awakening. He also performs around Seattle in the folk-rock duo Hanschen & Ilse with frequent collaborator and best friend Kirsten deLohr Helland. Justin is very grateful to Diversionary Theatre for granting him this incredible opportunity and to his Lizards Kiki, Brandon, & Bill for their absolute love and boundless creativity. 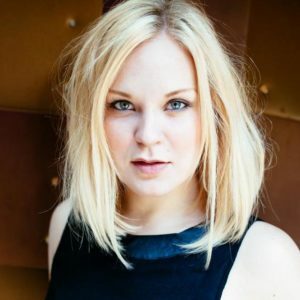 Kirsten deLohr Helland (Siren)* won a Gregory Award for Best Supporting Actress for her work in Lizard Boy at Seattle Repertory Theatre. 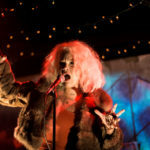 She was recently named to the “Future List” by City Arts Magazine as an actor shaping the landscape of Seattle’s arts scene. Recently: Maria in The Sound of Music, Rizzo in Grease, Jennifer in Paint Your Wagon (The 5th Avenue Theatre) and Whatsername in American Idiot (ArtsWest) for which she recently received a Gregory Award Nomination for Best Supporting Actress. Other credits include The 5th Avenue Theatre (Ado Annie in Oklahoma!, Jovie in Elf, Penny Pingleton in Hairspray in Concert, Pirates of Penzance and Rent), Village Theatre (Eponine in Les Miserables, Amy inTrails, Hildegarde in The Tutor), Balagan Theatre (Kate Monster in Avenue Q – Gregory Award nomination, Ilse in Spring Awakening), ArtsWest (Dogfight). Film: Danielle in Laggies. 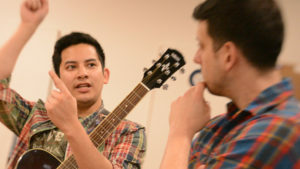 Helland is half of folk-rock duo Hanschen & Ilse with best friend Justin Huertas. B.F.A. from Pacific Lutheran University. Endless love and gratitude to Justin/her other half, Brandon, Bill, Mama and the entire Lizard Family. William A. Williams (Cary)*A California native, William is a musician/actor now based out of New York. He won a Gregory Award for Best Supporting Actor for his portrayal of Cary in Lizard Boy at the Seattle Repertory Theatre, where he also performed as Whit in Of Mice and Men, directed by Jerry Manning. 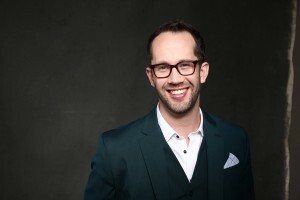 He has acted with Balagan Theater (Dr. Horrible’s Sing-Along Blog), Village Theatre (Beauty and the Beast, Showboat, The Gypsy King), Seattle Shakespeare Company (Romeo and Juliet, Comedy of Errors), Contemporary Classics (…Spelling Bee, Zanna Don’t! 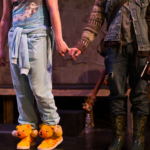 ), and has played guitar in productions of Spring Awakening (Balagan), Bloody Bloody Andrew Jackson (ArtsWest) and most recently took on the bass guitar for The Iceman Lab at Target Margin in NYC. He is immensely proud of this show, to all who have been involved, and is excited to introduce San Diego to the Lizards! William received a B.F.A. in Acting from Cornish College of the Arts. Love, always, to his unconditionally supportive and adoring family. Brandon Ivie (Director) recent credits: A Christmas Story at Paper Mill Playhouse, Jasper in Deadland by Ryan Scott Oliver and Hunter Foster Off-Broadway and The 5th Avenue Theatre, The Noteworthy Life of Howard Barnes by Michael Kooman and Christopher Dimond at Village Theatre, Imagine Harry by Jeff Talbott and Will Van Dyke at NAMT, as well as the World Premiere of Lizard Boy at Seattle Rep (Gregory Award nom). Broadway assisting: A Christmas Story, Catch Me if You Can, Next to Normal, First Date, Gigi. NYC directing: Signature Theatre, The Public Theater/Joe’s Pub, New York University, HERE Arts Center, Prospect Theater Company, NYMF, 54 Below. Drama League Directing Fellow. LCT Directors Lab. Jon Huckaby (Stage Manager) believes in the power of provocative art. 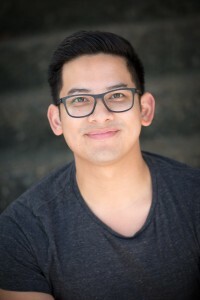 Since graduation from San Diego State, Jon Huckaby has continued stage managing professionally for companies such as San Diego Repertory, San Diego Musical Theater, Ion, New Village Arts, Asian American Repertory and many more. 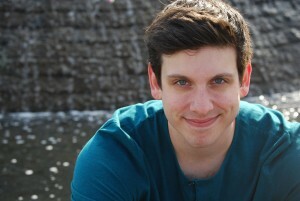 Jon has also worked extensively as the resident stage manager for Circle Circle Dot Dot and New Fortune Theater Company. He is honored to be back at Diversionary working with such a talented group of people. Ron Logan (Scenic Design / Projection Design) is excited to be designing his third show at Diversionary. Previous Scenic: A New Brain, Amazons and Their Men (Diversionary); The Elephant Man (Oceanside Theatre Company); Sea of Souls, Ryes, Six, Grove, (ion – workshopped original works); Geeks! The Musical (ion’s BlkBox). Co-scenic: Bug (ion). Co-Projection Design (with Joe Huppert): The Elephant Man (Oceanside Theatre Company); The Oldest Boy (San Diego Rep – Craig Noel Award Winner). Creative Director for the San Diego International Fringe Festival since its second year. Graphic Designer for Scripps Ranch Theatre’s 2014-15, and 2016-17 seasons. Co-producer of SD Fringe’s That 24 Hour Thing (third year) with his über-talented girlfriend / actor / writer / director Hannah Logan (yes, they have the same last name – ask for the story). Professional graphic designer for 26 years. Curtis Mueller (Lighting Designer) returns to Diversionary having designed Manhandled, Now or Later, A Civil War Christmas, Amazons and Their Men, Man Clan, and A New Brain. Select local credits include: Gutenberg! The Musical (Backyard Renaissance); End of The Rainbow, Quality of Life, The 25th Annual Putnam County Spelling Bee, I Hate Hamlet, All My Sons, Macbeth (Intrepid Theatre Company); Big River, The 1940s Radio Hour, Seascape (New Village Arts); Chess in concert, Next to Normal, Spring Awakening (Cabaret at the Merc Summer Series). Curtis has also worked extensively with Coronado School of The Arts, CYT San Diego, and CAST Productions. Curtis holds a BFA in Lighting Design from California Institute of The Arts. Matt Lescault-Wood (Sound Designer) is excited for his official Diversionary debut. Previous credits include: Sweeney Todd, Cabaret, Little Shop of Horrors, A Behanding In Spokane, Man of La Mancha, Assassins, Company, Spring Awakening, Pageant, True West, Fool For Love, Sons of the Prophet, My Fair Lady, Hay Fever, The Vortex (Cygnet); Eurydice [2010 San Diego Critics Circle Nominee], Dead Man’s Cell Phone, Hickorydickory, ENRON, Eternally Bad(Moxie); Hamlet, Macbeth, I Hate Hamlet, Woody Guthrie’s American Song (Intrepid), The Break-Up/Break-Down, Deconstruction of A Drag Queen, Red Planet Respite (Circle Circle dot dot); Seascape, Stage Kiss, Lord of The Flies, Big River (New Village Arts); Henry V [2014 San Diego Critics Circle Nominee] (New Fortune); MixTape  (Lambs). Matt has a Degree in Theatrical Design and Technology from SDSU. 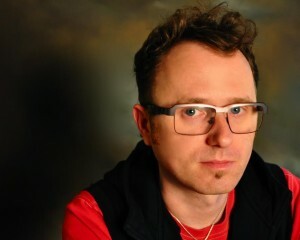 Peter Herman (Wig Specialist) has designed wigs and costumes for over thirty shows at Diversionary, some highlights include: The Rocky Horror Show, Scrooge With Rouge, The Mystery of Irma Vep, The Further Adventures of Hedda Gabler. Peter has designed wigs all over the Southern California area. 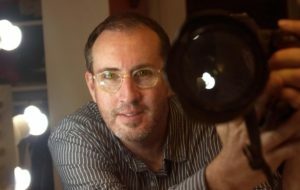 Some of his work has been seen at Cygnet Theater, The La Jolla Playhouse, The San Diego REP, Moonlight Stage Productions, North Coast REP, as well as some design work for film, television, and various theme parks. 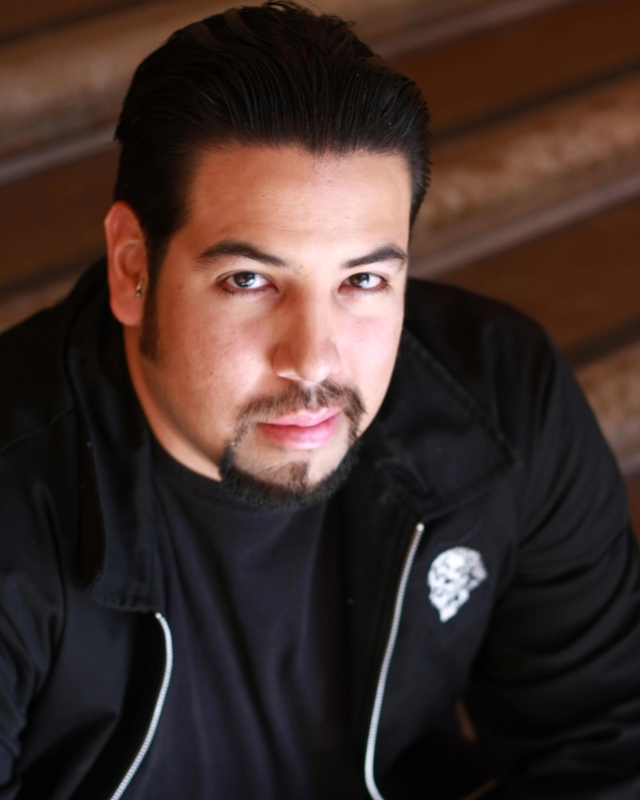 Peter currently teaches wig and makeup design at San Diego State University. 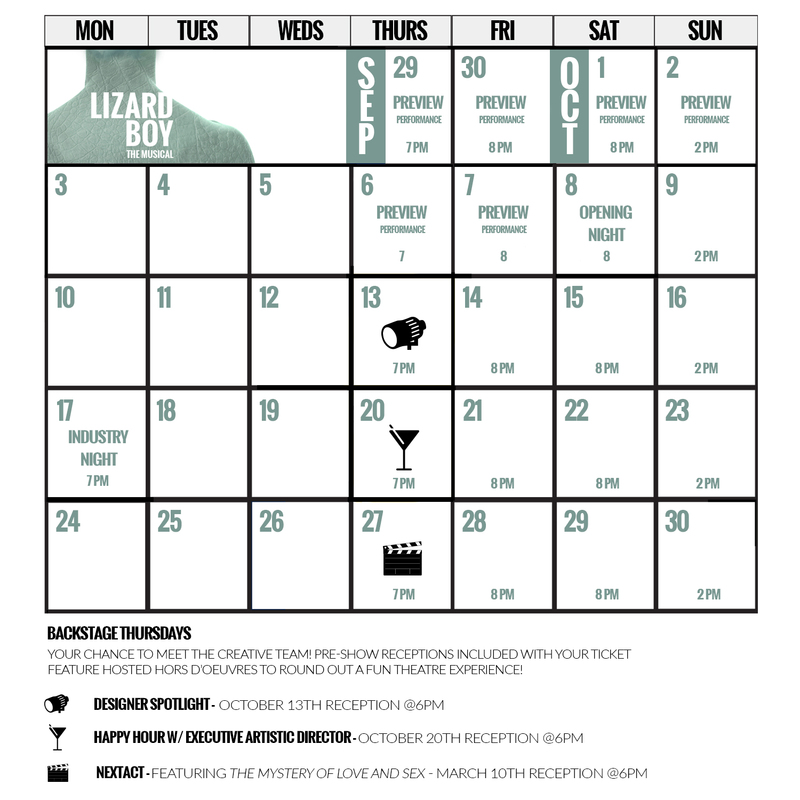 LIZARD BOY plays September 29th – October 30th on the Diversionary Theatre Mainstage. Performances run Thursdays at 7pm, Fridays and Saturdays at 8pm, and Sundays at 2pm. The Lizard Boy soundtrack is for sale on iTunes, Spotify, and Amazon.